According to official statistics, the Turkish Republic hosts nearly 3.5 million Syrian refugees, more than any other country. A number of studies show that a vast majority of these refugees will remain in Turkey permanently, even if the situation in Syria becomes stable and return becomes a possibility. Despite this trend, however, government institutions and organizations have failed to establish a sustainable framework for integrating Syrian refugees into Turkish society. Although the Turkish government addresses some specific areas of need, many refugees must take responsibility for securing their own livelihoods. Due to a gradual decrease in international aid and the long-term presence of Syrians in Turkey, it has become more difficult for refugees to find suitable employment opportunities. Whereas issues of housing, education, health, and food are related to problems of capacity and bureaucracy, the issue of livelihoods is more closely linked to the legal framework and the perception of Syrian refugee employment among Turkish citizens. This problem is not only a humanitarian issue but a political one, both nationally and globally. For Syrian refugees, employment is more than a job. It has a significant and sustainable impact on an individual’s life, future, and ability to integrate into a new society. Unemployment, however, is a significant problem in Turkey. Some estimates indicate that working-age people in Turkey account for more than 50 percent of the population, yet the unemployment rate exceeds 17 percent, according to the Livelihood Observatory. Moreover, in response to the influx of Syrian refugees in Turkey, an insufficient amount of funds has been allocated to livelihoods sector to enable Syrians to build their livelihoods in Turkey. According to the 2016-2017 plan of Syria's humanitarian response, the amount of funding available for the livelihoods sector was $11 million (USD), but the funding requirement was $92 million (USD). 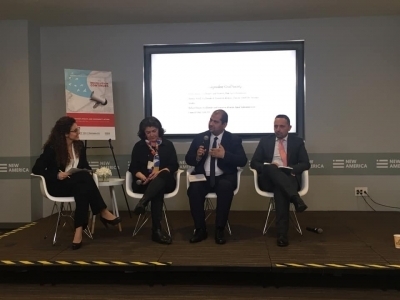 As a result, the Turkish government has faced significant challenges, creating employment opportunities for Syrian refugees, integrating and organizing refugees in the labor market, and addressing problems between refugees and their employers. There are a number of obstacles that prevent Syrian refugees from developing their livelihoods. 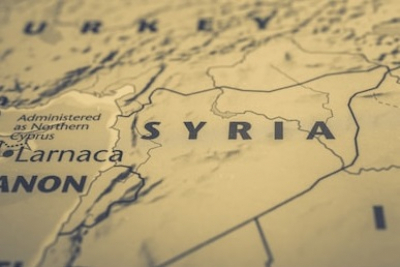 Most notably, legal procedures related to the employment of Syrian refugees lack clarity and integrity. In addition, there is poor communication between Syrian civil society organizations and the Turkish government, as well as a lack of representative bodies demanding employment rights for refugees. Most Syrians live in Turkey under temporary protected status, which fails to ensure certain protections. In fact, Turkish labor laws that apply to Syrian refugees are inadequate and inefficient. Due to difficult financial conditions, refugees are vulnerable to exploitation, including unfair compensation. In addition, refugees performing physical labor at work face a higher risk of injury, yet some employers do not provide them with health or social insurance. To overcome existing obstacles, all actors in the livelihoods sector should collaborate to create appropriate mechanisms that enable Syrian refugees to secure jobs and develop their livelihoods. Specifically, the Turkish government should create a database, accessible to all relevant parties, for Syrian employment opportunities and establish appropriate mechanisms to assess the qualifications of Syrian refugees. In addition, the government should implement vocational training programs for secured employment and establish a union for Syrian workers under the supervision of the Turkish Workers Syndicate. The government also should support Syrian refugee recruitment agencies and provide them with necessary funding and facilities. To support small business and micro-enterprisesfor Syrian refugees, government agencies should provide appropriate facilities. They also should facilitate banking and investment procedures for Syrians to expand their ventures and create new jobs, and they should utilize the financial resources and expertise of Syrians abroad in order to develop Syrian livelihoods in Turkey. In addition, the government should establish joint large-scale industrial projects connecting Syrian and Turkish investors. Nongovernmental organizations (NGOs) should identify and develop mechanisms to sustain livelihood programs and ensure their growth. They should establish a cooperative fund to provide small grants to entrepreneurs, and they should conduct community awareness and education campaigns to inform Syrian refugees about their rights and responsibilities in the labor market. In addition, NGOs should establish programs to help at-risk refugees find employment opportunities. They also should create sustainable initiatives that enable coordination and cooperation between Syrian and Turkish employers. These programs should produce joint economic projects in all sectors and support vocational training and rehabilitation programs for Syrian refugees. In addition, these programs should ensure that Syrian refugees are not exploited due to legal status or physical condition. With the significant and lasting presence of Syrian refugees in Turkey, temporary solutions are no longer viable, especially as more and more refugees enter the labor market. 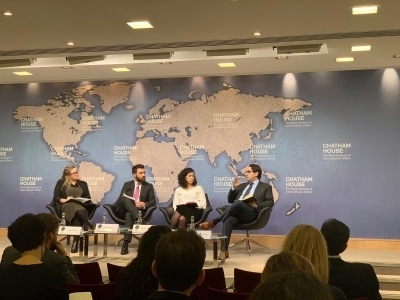 Unless concerned parties in the Turkish government work to develop sustainable solutions, refugees and their host communities will face serious problems, such as increased tension between refugees and the local population, as well as social and economic instability. On the other hand, the employment of refugees will benefit the Turkish workforce and economy, while ensuring a promising future for Syrians in Turkey.